You do not have to break the bank to find a creative and fun way to make your date memorable. Birmingham, Alabama, offers a range of activities for those trying to move away from the typical dinner and a movie date to something more innovative. Whether you and your date enjoy the outdoors, gardens, parks, historical sites or the arts, there is something fun to be done in this southern city. Birmingham Botanical Gardens boasts the largest greenhouse in the Southeast. If you are planning a day or weekend activity and want to get outdoors, Birmingham offers some varied garden attractions. 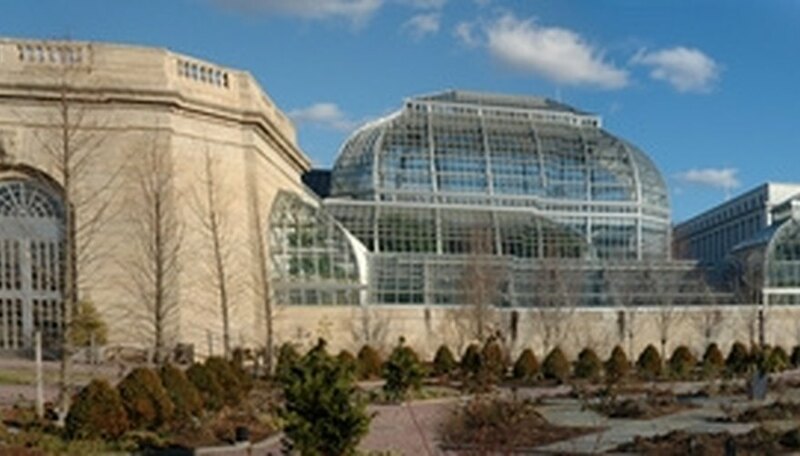 The botanical gardens are home to the largest greenhouse in the Southeast and also are home to 10,000 different plants. The gardens offer original outdoor sculptures and walking paths. The fully restored Arlington Antebellum Home and Gardens dates from the 1840s and is an example of Greek Revival architecture. It is set on beautifully landscaped grounds and offers a historic dining facility where you can have breakfast, lunch or dinner. The Birmingham Zoo is home to more than 100 animals and birds. You and your date can explore habitats with ostriches, sea lions, zebras, hippos, gorillas and bald eagles, and partake in the giraffe feeding, rhino encounter and butterfly encounter activities while there. Vulcan Park houses the world's largest cast iron statue. This statue was designed by Italian artist Giuseppe Moretti and cast from local iron in 1904. The statue surrounds a 10-acre park and offers a scenic view of the city below. There is also a museum on the grounds that you can visit. Birmingham's Museum of Art is a fun date experience that you can explore with your art-loving date. The museum offers art talks, tours and special events, as well as a gift store. There is also The Charles W. Ireland Sculpture Garden, Asian and America art, contemporary art and changing exhibitions. The museum is free and open to the public. If you feel like getting hands-on creative, try an art workshop or painting class with Art Buzz Birmingham. They are a short, 20 minute drive south of the heart of the city. Classes cater to beginners and advanced artists alike. After the structured class, you and your date will be able to take home the finished projects. Fiedler, Nikki. "Fun Date Ideas in Birmingham, AL." Dating Tips - Match.com, https://datingtips.match.com/fun-date-ideas-birmingham-al-7352318.html. Accessed 20 April 2019.